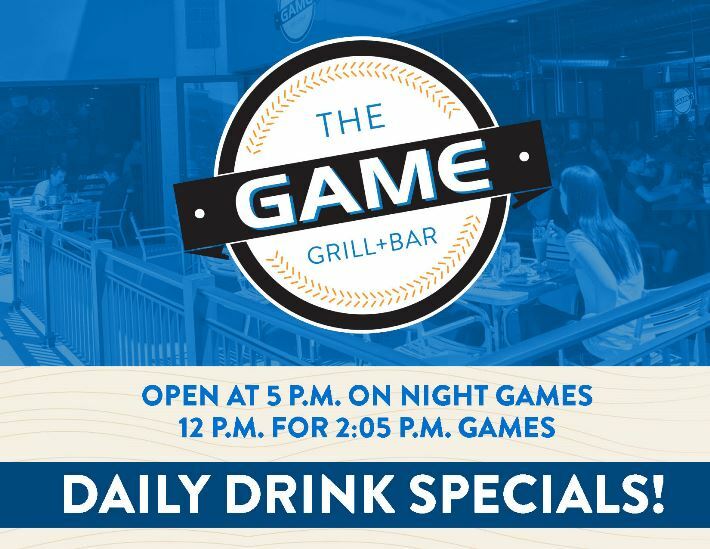 THE GAME GRILL + BAR at Canal Park is the BEST way to enjoy an Akron RubberDucks game! 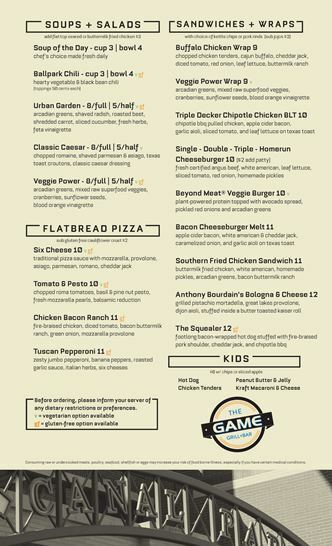 Enjoy our sleek, modern, family-friendly sports bar atmosphere and treat yourself to a draft beer or cocktail at the full-service bar OR chow down on our eclectic menu of tasty snacks, hearty salads, creative sandwiches, and gourmet flatbread pizzas. Executive Chef James Phillips and his culinary team use only the FRESHEST, BEST QUALITY ingredients to serve you HOMEMADE sauces, dressings, pickles, and other seasonal homestand specials! On Instagram, follow @rubberduckschef to see what's cooking! 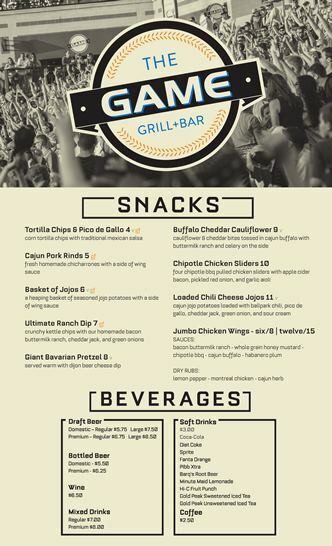 THE GAME GRILL + BAR opens at 5pm for night games and 12 p.m. for 2:05 p.m. games. Call 330-252-0804 for reservations! Click the images below or CLICK HERE for our all new 2019 Season Menu! COME FOR THE FOOD, STAY FOR THE PEOPLE. Check the RubberDucks Schedule for more details and CALL 330-253-5151 for information about PRIVATE EVENT BOOKING! Don't forget, The Game is also the HOME OF THE SQUEALER! This Extreme Foods Menu item is a foot-long Five Star Meats hot dog, stuffed with pulled pork and wrapped in bacon. We deep fry it until golden and crispy, then top it with shredded cheddar cheese and a drizzle of tangy BBQ sauce. The Game is the ONLY place to find The SQUEALER at Canal Park!